lol with the leightons: A Yumhaw for Y’all! Yep. A combination of TLC’s Yummies and ELC’s Yeehaws. We crack ourselves up. Background: ELC loves all things Real Simple. A friend put her onto this FABULOUS magazine about seven years ago. She hasn’t been without a subscription since. 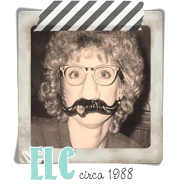 ELC got TLC hooked. We both get those email/online/newsletter thingys from Real Simple—but we’ve chosen different "departments," of course. ELC doesn’t get anything about recipes. TLC doesn’t get the Daily Thought. Evidently ELC likes to think and TLC likes to cook. A little over a year ago: ELC got a Real Simple email with some of their favourite necklaces that could be ordered with a name or monogram. Of the eight-ish that were shown, the necklace that completely captured ELC’s heart was one called The Jessica (click!) from Three Sisters Jewelry. ELC knew three of her four granddaughters and her Goddaughter would all love one of these unique necklaces for Christmas (the Littlest Angel isn't quite old enough for one yet!). Unfortunately, because ELC is so ahead of the shopping game each year, she’d already purchased the girls’ gifts for Christmas 2010. She made Zoë’s website a Favourite and programmed this brilliant idea in her brain for Christmas 2011. About five weeks ago: ELC reminded TLC she was going to order the necklaces as soon as she returned from her Rhode Trip. 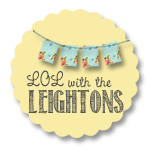 While checking out all of Zoë’s designs, ELC clicked on her Blog (click!) and discovered she loved that, too! The four necklaces arrived and they are whimsically magnificent! ELC has picked out a bracelet she’d adore (for her birthday in March—hint, hint.) 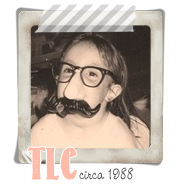 TLC has found several pieces she, too, believes she must own. ASAP. What a shocker. Zoë is an amazing artist. And another California Girl! (We heart our California Piggy Gals!) Check out Zoë’s website (click!) STAT. Maybe it’s not too late to order that special friend or family member one of her treasures for Christmas! Chow (Puppy, that is—we got a million of ‘em) for now . . . It was our truly tremendous pleasure, Zoe. Your jewelry is fabulous!!! And we're so happy to see you receiving lots o' "press." Awesome! Can't wait to keep an eye on your designs--treat ourselves to a necklace here, bracelet there--and read your fun blog!